Fort Hood brought my husband, SFC Ulysses Fleming, and our family to Killeen almost four decades ago. I attend St. Joseph's Catholic Church. I am an active parishioner belonging to the Gospel choir and serving as Vice-President of the Multi-American Society. The Society visits the sick, provides support to families who have suffered a loss, helps provide food to those in need, and assists the church as needed. I helped organize the local "Souls to the Polls" drive. Volunteers registered voters and provided rides to the polls. I have always been civic minded and served every community where we were stationed including our tours to Ft. Knox and Germany. My community service includes being a Bell County Deputy Voter Registrar, Election Judge for precinct 106 in Killeen, and volunteering with numerous campaigns locally, statewide, and national. I enjoy being a contributing member of service organizations. I am a long-time member of the Killeen Chapter of the NAACP and most recently a member of the Killeen (Noon) Lions Club. I have always approached my community work in a professional manner and with great zeal. I am always humbled by the recognition I have received over the years. A letter of appreciation from US Army Brigadier General William A. Fitzgerald Jr., Community Commander for my work with the committee of the Giessen Military Community Women's History and Federal Women's Week. The US Army, Europe, and Seventh Army and the 7th Medical Command each presented me a Scroll of Appreciation for my contributions to the Installation Support Activities and for my work as Supply Clerk at Headquarters. A letter of appreciation came from SGM Kenneth D Barnard for my work as manager of West Fort Hood Enlisted Club. I was named Outstanding Precinct Chair for "outstanding performance and exceptional commitment to teamwork". Most recently, I was an honored recipient of a Star Award from the Bell County Texas Democratic Women (BCTDW). Star Awards are given to members of the Texas Democratic Women for work above and beyond the call of duty. 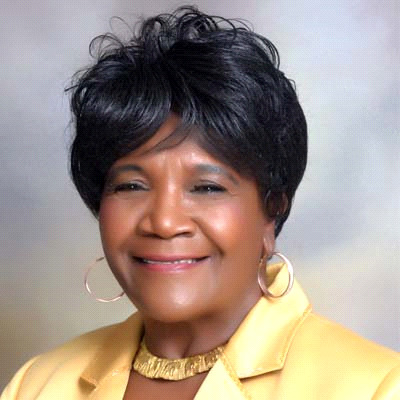 The President of BCTDW wrote: "Shirley is a long-time member of BCTDW, but in 2014 Ms. Fleming also served as Vice-Chair of the Bell County Democratic Party. She organized many voter registration drives at churches, high schools, and area businesses. She also organized several "community parties" and contributed her time and effort to the end of summer fundraiser, Cobalt Carnival. She attended the state convention as a delegate, and also served as a Bell County election judge. She volunteered much of her time with the Louie Minor for Congress campaign, and participated in block walks and phone banking with Battleground Texas. She was also instrumental in forming the Bell County Veteran's caucus and the Bell County Coalition of Black Democrats. She recently stepped up and announced she was running for Killeen city council. Shirley is the "energizer bunny" of the BCTDW and the Bell County Democratic Party. She is a valued member of TDW."